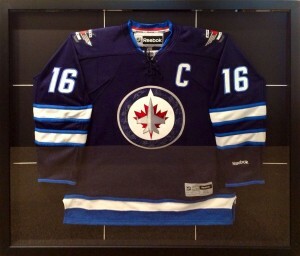 If you have an autographed jersey from one of your favourite athletes or would like to showcase one of your own or a loved ones, we can do that. 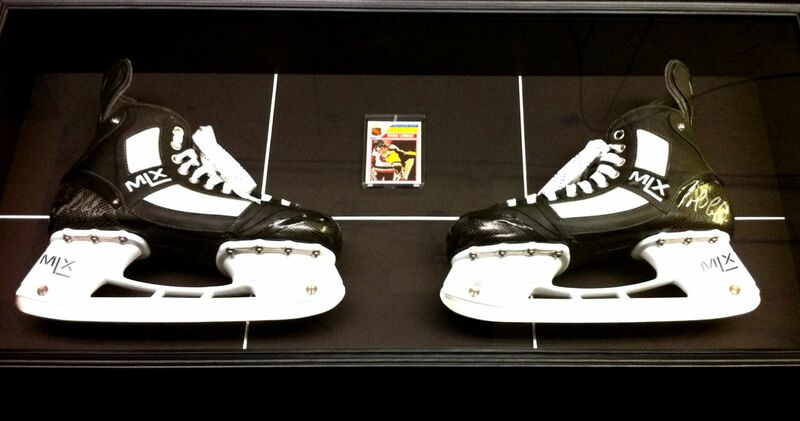 If you have any autographed sports memorabilia we can help you show it off while protecting it. We can even frame up your kids game winning baseball bat or lucky hockey stick. DID YOU KNOW? that the most popular collectibles increase in value if preserved and displayed using protective frames? 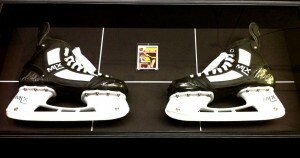 At Fleet Galleries, we are specialists in framing sports memorabilia, especially SPORTS JERSEYS. We have developed a special mounting and framing technique that ensures your collectables are preserved, and protected against environmental damage. Come in and see examples of what we have done for some of the biggest sports collectors in Canada. Thinking about displaying war medals, or military collections? DID YOU KNOW? that military decorations should be displayed in a special order? Our war medal consultant—an officer and gentleman from the Naval Museum of Manitoba—advises us on the correct protocol for displaying war medals, so you can be confident you are showing them with pride, honour, and respect. Bring your collectables down to the studio and we’ll give you a FREE FRAMING CONSULTATION. We’ll show you our process and equipment, and you can see for yourself how a professional frame can add value to your memorabilia. To find out more about how we protect your collectables and artwork, visit our section about PROTECTING your Art.